We've also improved our selection of payment gateways with new and upgraded integrations. 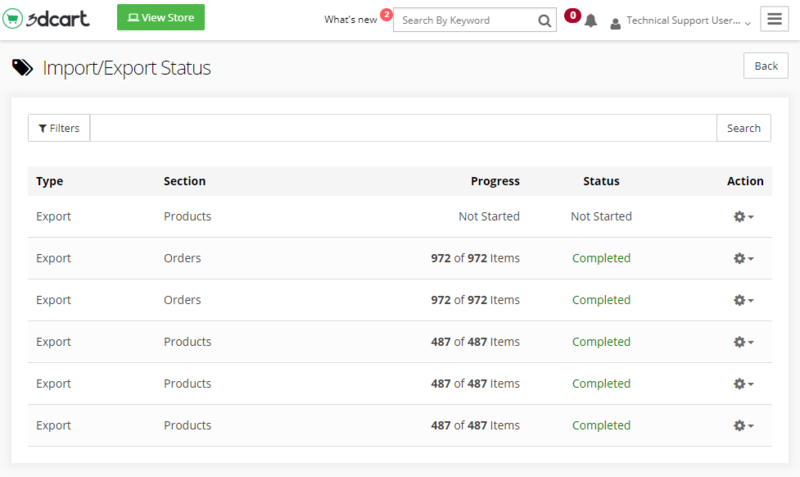 Overall, 3dcart v8.3 improves the functionality of our eCommerce tools to give business owners even greater control. Several of 3dcart v8.3's updates have also been built with fraud prevention in mind, as we've made improvements to the FraudWatch module as well as more specified settings to help block the effects of fraudulent orders on stores that sell digital products or use Reward Points. These updates further increase the security of your store by placing more power into your hands regarding fraud screening and customer access to Reward Points and eProducts. It's easy to see why 3dcart is regularly ranked among the top 10 eCommerce platforms in the industry. Back in 3dcart version 8.2, we changed the Product, Customer, and Order CSV exports to run as background processes, increasing performance within the store manager. In version 8.3, we've expanded this process to all data exports including Reviews, 301 Redirects, IP Security, and more. The export system now also takes you directly to the Import/Export Status page so you can view the progress directly or opt to receive an emailed notification when the export is complete. Data imports are now also processed in the background so you can continue working while you wait for the import to complete. You can choose to receive a notification upon completion, just like you can do with the exports. These changes to the data import and export systems improve your workflows by freeing up the system to work on other parts of your store while allowing the 3dcart software to handle your imports and exports in the background. 3dcart v8.3 introduces a new setting for eProducts that provides store owners with more control over how your digital products are distributed. You can now specify when the customer receives a download link based on their order status, which allows you to prevent download links from being sent until you are satisfied that payment has gone through successfully. This helps avoid issues in which a digital download order is shown to be fraudulent after the customer has already downloaded the eProduct. We've also improved the eProduct serial number process for efficiency, so it runs faster overall and now also runs separately from your store's ordering process. This prevents a situation in which stores with large lists of serial numbers could experience checkout problems due to interference between the two systems. 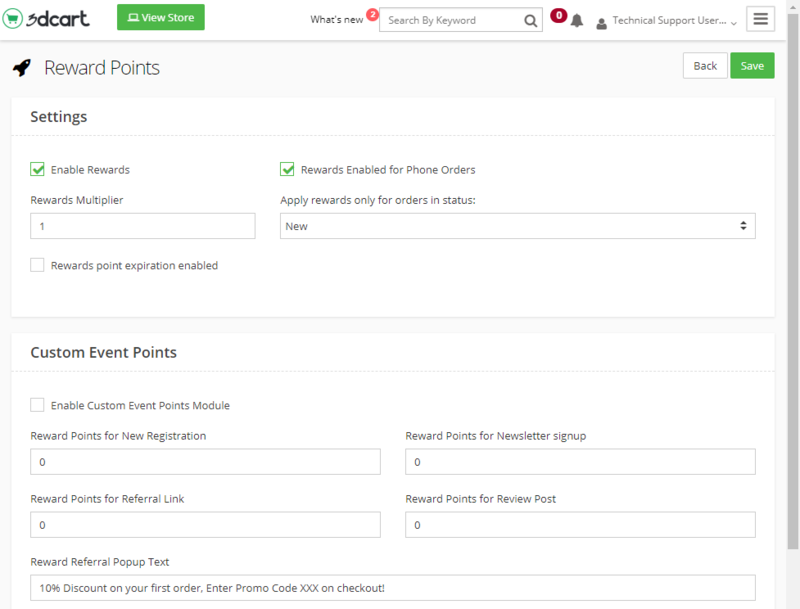 We've added a new setting to our Reward Points module that works similarly to the above setting for eProducts: you can now specify an order status that an order must be placed into before the points are awarded to the customer. This allows you to determine when customers receive their Reward Points, so that a customer can't immediately receive and use their points before you can determine whether the order is valid or fraudulent. This severely cuts down on the opportunity for unethical customers to profit from fraudulent orders. 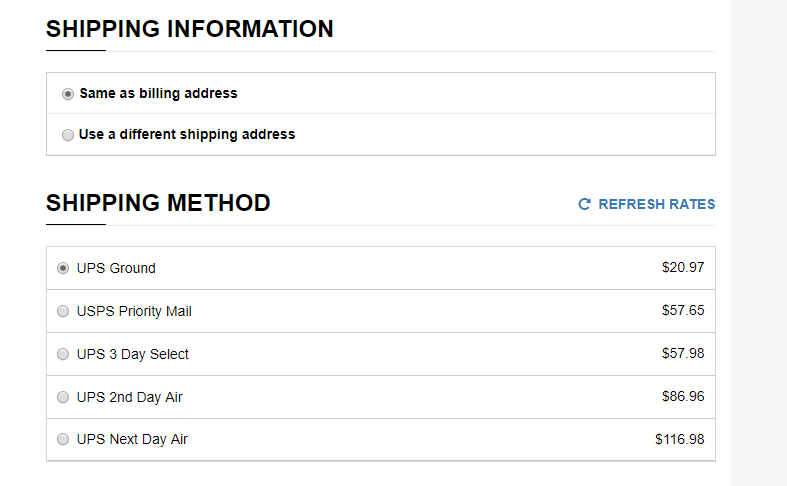 Stores using multiple shipping carriers previously had their applicable rates grouped by each separate carrier, with each shipping carrier displayed one at a time. With 3dcart version 8.3, you can now choose to have all of the order’s applicable shipping carriers, methods, and rates displayed on your checkout page at the same time. This makes it much easier for customers to understand what shipping carriers, methods, and rates are available to them, especially when you offer a large number of shipping options. We've improved the versatility of the 3dcart Promotions Manager by adding the ability for you to make multiple Customer Groups eligible for a promotion. This gives you much more control over how you offer promotions to your customers and opens up new strategies for your marketing. Previously, promotions could only be offered to either a single Customer Group, all retail customers, or all Customer Groups. Now you can pick and choose exactly which groups can qualify for each of your promotions! 3dcart version 8.3 brings additional functionality to our Make-an-Offer Price Haggling module by enabling you to submit a counteroffer to the shopper. Instead of simply accepting or declining an offer, you can now negotiate directly with the customer through the module. This will help both merchants and customers arrive at pricing they feel is fair. 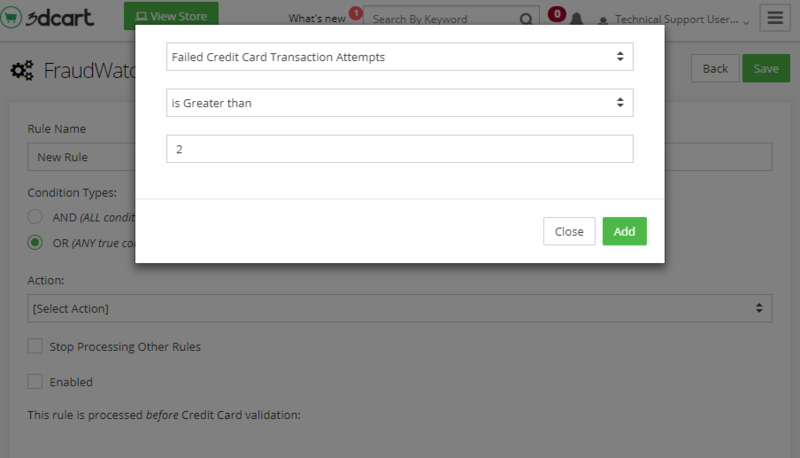 The Product Q&A module lets customers ask questions which can then be answered by other customers or by a store administrator. With a new enhancement introduced by 3dcart v8.3, you can now filter your product questions to quickly find all questions that haven't yet been answered. This feature makes it much easier to address customer inquiries quickly and boost confidence in your products. 3dcart has added yet another improvement to our powerful FraudWatch app to give online merchants an additional tool for screening and preventing fraudulent transactions. With version 8.3, you can now select a new FraudWatch screening rule based on the number of failed transactions by a customer. Repetitive failed transactions can be an indication of several types of fraudulent activity, including carding (a fraud method used to determine if stolen credit card numbers are valid). 3dcart already integrates with more payment providers than any other eCommerce platform in the world, but we want to ensure you have as many options for your business as possible! Version 8.3 introduces a brand new payment integration with Fattmerchant, a complete merchant processor with an unique subscription-based pricing model that offers direct cost of interchange without any markups. We've also upgraded our integration with Allied Wallet to use the latest QuickPay integration. 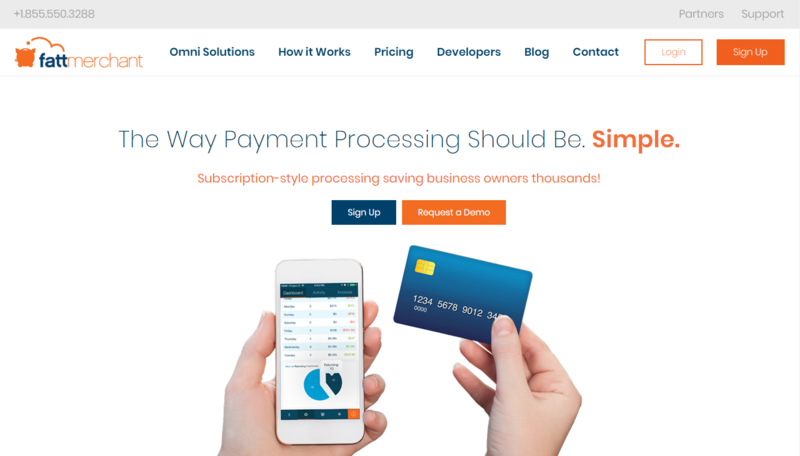 Last but not least, we've also upgraded our payment integration with Stripe to allow 3dcart merchants to use the latest JS API. Ready to take advantage of the new features on v8.3 ? As the latest update to our industry-leading eCommerce platform, 3dcart version 8.3 provides online store owners with more convenience, more options, and greater flexibility than ever before. We look forward to creating even more enhancements to help 3dcart merchants dominate their eCommerce markets!